Dr. Kenneth Grabowski Orthodontics specializes in both orthodontics and dentofacial orthopedics. While most people have heard of orthodontics, many are confused by the “dentofacial orthopedics” part of the title. Fear not; we can explain! Every orthodontist starts out in dental school. Upon completion of the degree, some graduates immediately go into practice as dentists. Others choose to pursue a dental specialty which requires additional schooling during a two to three year residency program. 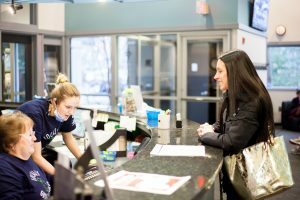 There are nine specialties sanctioned by the American Dental Association including pediatric dentistry (dentistry for children), periodontics (dentistry focusing on the gums), and oral surgery. Orthodontics and dentofacial orthopedics is one of the other specialties. But what about dentofacial orthopedics? “Dentofacial” represents “teeth” and “face.” When combined with “ortho” meaning “straight” and “pedic” the Greek word for “child,” dentofacial orthopedics refers to the straightening or correction of a child’s teeth and face. Do Orthodontics and Dentofacial Orthopedics overlap? Essentially, while orthodontics entails the management of tooth movement, dentofacial orthopedics involves the guidance of facial growth and development, which occurs largely during childhood. 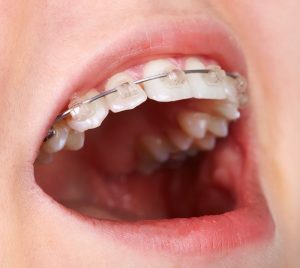 In both cases, appliances are frequently used including the more familiar braces for orthodontics and other specialized appliances like headgear and expanders depending on what facial abnormalities are present. Sometimes orthopedic treatment may precede conventional braces, but often the two are accomplished at the same time. So if your child gets braces and headgear, he’s undergoing orthodontics and dentofacial orthopedics! Because Dr. Kenneth Grabowski is skilled in both areas, he is able to diagnose any malalignments in the teeth and jaw as well as the facial structure and can devise a treatment plan that integrates both orthodontic and dentofacial orthopedic treatments. Request an appointment for yourself or your child today. It’s never too late to achieve your perfect smile with proper alignment!